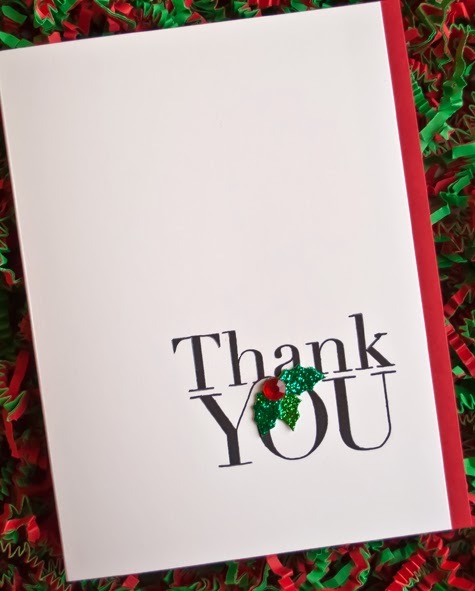 A simple way to get across a "Thank you for the Christmas gift." Made even easier by using pre made holly embellishments. I prefer the top one, but the bottom one is fun too. These are awesome Joan! 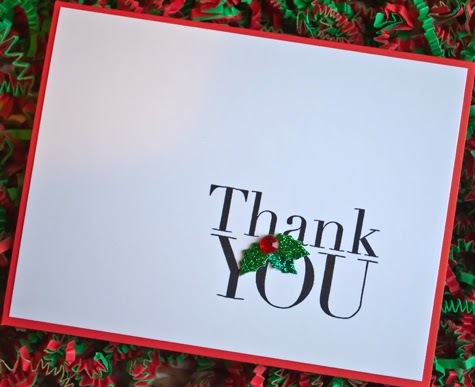 Love the holly accent - it really doesn't need anything else to show it's a Christmas Thank You and I love that!! Cute cards! I will case this! It's all about the quick and easy thank you cards. Have a Merry Christmas! Love these cas cards! So glad you are stamping again! What lovely cards! They have perfect CAS designs--striking and gorgeous! I really like that premade holly--that's a great idea. Love them both...simple and beautiful. Love both cards! The first is especially wonderful. I love it when premade embellishments work so well...I'm not always so fortunate! The holly is in very good hands!